Los Lobos doesn't make bad albums. They make good ones and great ones. 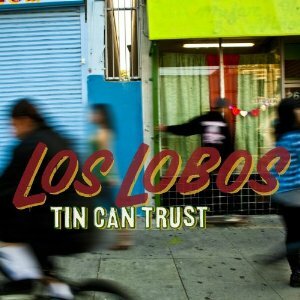 "Tin Can Trust" is a great one, yet somehow, I only thought it was a good one when I completed my best of 2010 list. I spent the weekend revisiting "Tin Can Trust," and I think I love it. Maybe even more than any previous Los Lobos albums. So David, Cesar, Louie, Conrad, and even you Steve...I'm sorry. You should have made Burning Wood's Top Ten. I know my omission didn't break you guys, but nevertheless, I carry the guilt. Glad you came around, Sal - totally agreed on this one. It holds together better than "Kiko," even. Something special. Like this cut very much. Reminds me of a Cream groove for some reason. Liked it enough to check out the album. You know, I haven't given this one enough of a chance yet. I love their previous one so much (The Town and the City) - it's just rock and roll comfort food. I have to play the new one more to get to know it better. I have a soft spot for this band - they were getting more well known during my high school years (81-85) and they were local (L.A. - I've moved, not them). I didn't pay attention for like 20 years and was so goddamn happy to hear that they just got better and better! In the early-ish 80s I liked them, but thought that they were kind of wearing somebody else's suit and saying hey, look at this suit, this is our style! But now that suit is Their Own. And I couldn't be happier about it. Please pardon the comment thread high-jacking, but this seems like a good place to bring up Joe Higgs. Do we have any roots reggae fans out there? Joe was a wonderful, if un-prolific over the long haul, songwriter, and had a voice soulful gold. 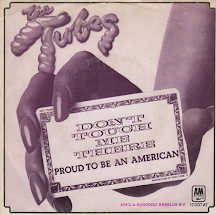 Think of this record as the Los Lobos "Town and the City" of reggae. He moved to L.A. later in life and I was lucky enough to see him 3 times... :-) I've only seen Los Lobos once - and that was in Boston! That's the way it goes sometimes. I couldn't agree with you more about Joe Higgs' "Life Of Contradiction." I don't feature reggae on these pages enough...or, at all really. But you are so right about this one. Thanks for the words and the reminder. Darned if you aren't right (again), Sal. Wallet-tightening has led me to downloading more and more. Where I've done it in the past for specific songs, I'm doing it more now for new material, and it's bands I'm not as familiar with and new acts (like 7 Walkers) that are paying the price when I can't hear the entire album. Sometimes 30 seconds a song isn't enough. Unfortunately, all this 'e' stuff renders stores almost obsolete, and there are too many people willing to post torrents online, which renders musicians poor, which makes sites like yours all the more valuable. I've been buying music for 40 odd years now, and downloading is almost like being able to buy 45's again, as opposed to paying 12-20 dollars a CD for a single and/or a few strong tracks.